Auburn University is continuing its partnership with Daktronics to install 12 new LED displays for four different venues on campus in Auburn, Alabama. The installation of one video display and audio system at Auburn University Soccer Complex, one of the first video displays for college equestrian and an audio upgrade in Jordan-Hare Stadium’s suites, were completed this summer. The installation of video displays at facilities for baseball and basketball are all still to come this year. The video displays for baseball, equestrian and soccer will provide fans and viewers with live video, instant replays, event scores, statistics, graphics, sponsorship messages and other information throughout events. These displays can show one large image or multiple zones to show any combination of content based on the needs of each event. Auburn University Soccer Complex received a display measuring 14.5 feet high by 32.5 feet wide and a custom fixed-digit scoreboard. Samford Stadium-Hitchcock Field at Plainsman Park will receive a display measuring 24 feet high by 62.5 feet wide creating a completely digital canvas for baseball games. Auburn University Horse Center received a display measuring 13 feet high by 29 feet wide for equestrian events. These three video displays all feature 15 HD pixel layouts to provide high-definition imagery and wide-angle visibility while incorporating industry-leading protection from the outdoor elements. Each site will receive new channel letters above the video displays. 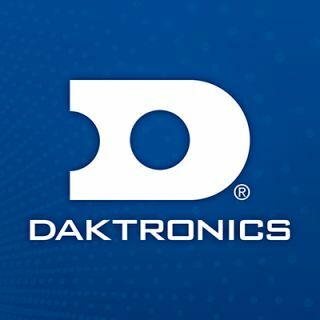 The soccer and baseball venues will also receive Daktronics Sportsound® 500 and Sportsound® 2000 systems, respectively. These audio systems provide booming sound and intelligible speech for an improved overall experience throughout events. Last year, Daktronics installed an audio system for the main seating bowl at Jordan-Hare Stadium. This year, a new audio system was integrated into the existing system for all suites and premium areas. It includes a robust control solution which allows individual audio control inside each of the 85 suites within the stadium. For basketball, Auburn Arena will receive new LED ribbon and scorer’s table displays to show additional graphics and statistical elements as well as the opportunity to highlight sponsors throughout events. The new ribbon display along the upper seating fascia will measure 2.5 feet high by 679 feet wide and feature 15-millimeter line spacing. The eight scorer’s tables will each measure 2 feet high by 9 feet wide and feature 10-millimeter line spacing. The basketball practice facility will also be receiving fixed-digit scoreboards, sponsor panels, control consoles, shot clocks and light strips as part of the project.